Debuting at the Los Angeles Auto Show last month, the Scion C-HR is a compact SUV-like vehicle that reminds us Toyota likes to turn out a truly futuristic and unique vehicle every once in a while. C-HR (Compact size and Ride Height) starts production sometime late in 2016. Describing the car as, “a diamond with sheered sides, the C-HR cabin is like a precision –cut gemstone.” Toyota/Scion uses TNGA (Toyota’s New Global Architecture) to share pieces and parts between different Toyota models. This initiative is part of their commitment to greener production methods and overall reduction of waste at their manufacturing plants across the United States. Sharing parts between vehicles drives the overall cost of the individual automobiles down, as well. It also reduces the cost of ownership by bringing down repair and maintenance bills for owners. With wheel wells sculpted to be visible from any angle, the exterior shape of the Scion C-HR is undeniably athletic and sculpted. Specially designed 21-inch wheels pushed out to the very edges of the body offer a custom look. The aggressively styled front bumper with tightly integrated headlights and a pronounced Scion logo imbedded in the grille come together in perfect harmony to give this vehicle a distinctive look that will make it a stand-out on the highway. This specific design has been in the works for quite some time. A prototype design study on display at the 2014 Paris Motor Show in matte-blue offered a first look at the original shape of the car. It appeared again at this year’s Frankfurt Auto Show in Germany as a concept vehicle. This time around, the five-door compact hybrid crossover wowed crowds with a uniform glossy black color that provides a sleek overall aesthetic. The production intent version of the C-HR is set to make an appearance at the 2016 Geneva Auto Show. Forecasters predict the road-ready 2017 Scion C-HR will have optional all-wheel drive and a 4-cylider engine. 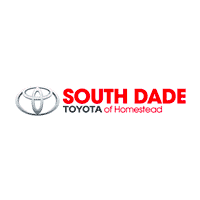 For more information on the much anticipated arrival of the 2017 Scion C-HR compact crossover at South Dade Toyota of Homestead, contact us any time.